In his excellent book on eschatology Cornelis Venema spends some time evaluating and critiquing dispensationalism from a Reformed and biblical perspective. Reformed theology is at odds with dispensationalism in several ways. One of the major differences is the understanding of promise/fulfillment and type/reality between the Old and New Testaments. There is much more to the discussion, of course, but here are a few helpful paragraphs of Venema to explain this difference. “Perhaps the most telling evidence against the dispensationalistic hermeneutic is to be found in the book of Hebrews. The message of the book of Hebrews is, if I may speak anachronistically, a compelling rebuttal of Dispensationalism. 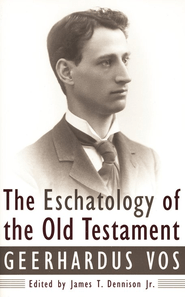 Whereas the book of Hebrews is one sustained argument for the finality, richness, and completion of all the Lord’s covenant words and works in the new covenant that is in Christ, Dispensationalism wants to preserve the old arrangements intact for Israel, arrangements which will be reinstituted in the period of the millennial kingdom. However, this would be tantamount to going back to what has been surpassed in the new covenant in Christ, reverting to arrangements that have been rendered obsolete and superfluous because their reality has been realized in the provisions of the new covenant. The Mediator of this new covenant, Christ, is the fulfillment of all the Lord’s promises to his people. Thus, to the writer to the Hebrews, any reversion to the old covenant types and ceremonies would be an unacceptable departure from the realities of the new covenant in preference for the shadows of the old. Though it may seem too severe to some, no other judgment is permitted us respecting the system of biblical interpretation known as Dispensationalism: it represents a continued attachment to the shadows and ceremonies of the old covenant dispensation and also a failure to appreciate properly the finality of the new covenant. Its doctrine of a literal hermeneutic proves not to be literal in the proper sense of the term. 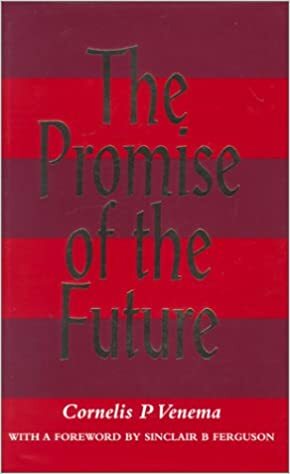 Rather than reading the New Testament ‘according to the letter,’ Dispensationalism reads the New Testament through the lens of its insistence upon a radical separation between Israel and the church” (p. 294-5). The flood in Genesis 7-8 was an historical event with many layers of meaning. It was a time when Yahweh judged the wicked justly – but it was more than that. Geerhardus Vos explains (note: “deluge” is another term for “flood”). “The cosmic extent of the deluge-event is both negative and positive. First, negatively, the flood destroyed the world (cf. Gen. 6). This is a catastrophic world-judgment. This fact is confirmed by pagan mythology, where it is associated with the chaos-flood out of which the world arose. The creation and the deluge both have cosmic significance. It was not confined to man; but the purpose was that God repented that he had created the world. Second, positively, it is the commencement of a new world-order. The waters receded on the first day of the month and the first month of the year (cf. Gen. 8:13); therefore a new year. It also possibly attaches itself to the periodicity [time periods] of history and the berit [covenant] principle. Periodicity is generally shown by the covenants that appear at the beginnings of periods. Now the deluge and the post-diluvian (post-flood) order of things prefigure eschatological crisis and the eschatological state. In other words, the deluge and ‘new creation’ are typical [that is, a type] of the absolute end of the world and the final renewal of the world. For more info, see 2 Peter 3:1-7 after reading flood account in Genesis. The above quote was taken from Geerhardus Vos’ The Eschatology of the Old Testament, page 81. Geerhardus Vos, Biblical Theology, p. 155. Just who are those two witnesses in Revelation 11:1-14? Who are those two “olive trees” and “lampstands that stand before the Lord of the earth”? Well, some say literally there will be two specific men/witnesses with unsurpassed power at the end of the age. Others say similarly that these are two prophets who prophesy during the rapture. On the allegorical side, some have suggested that these two are the Law and the Prophets or the Old and New Testaments. I agree with the commentators who say that the two witnesses symbolize the Christian church between Christ’s ascension and return (Beale, Mounce, Hendriksen, Poythress, etc). Hendriksen said it like this: “These witnesses symbolize the church militant bearing testimony through its ministers and missionaries throughout the present dispensation [age].” (More Than Conquerors [Grand Rapids: Baker, 1940], 155). Similarly, Bauckham: “Two individuals here represent the church in its faithful witness to the world” (The Theology of the Book of Revelation [Cambridge: Cambridge University Press, 1993], 84). Finally, Poythress agrees: “We find here a symbolic representation of Christian witness…[the two witnesses] represent the witnessing church, just as the seven lampstands in 1:12, 20 represent the seven churches of 1:11” (The Returning King [Phillipsburg: P&R, 2000], 127). 2) In comparing Rev 11.7 and Dan 7.21 (clearly John alludes to Daniel here), Daniel notes that persecution is aimed not at a few individuals, but corporate Israel (called “the saints”). 3) In Rev 11.9-13, the entire world will see the defeat and resurrection of the witnesses – this means that the witnesses are visible throughout the earth – around the globe. 4) The two witnesses prophesy for 3.5 years, the same length of time other followers of Christ are oppressed (11.2, 12.6, 14; 13.6). Especially relevant is chapter 12, where the woman fled persecution for the same amount of time. Beale notes that the woman and the two witnesses signify the same thing: the corporate people of God, the church. 5) Elsewhere in Revelation, the entire community of believers is identified as the source of the testimony to/of Jesus (6.9, 12.11, 17; 19.10, 20.4). The above six points are a summarized version of Beale’s commentary: Revelation (Grand Rapid: Eerdmans, 1999), 574-5. See also Dennis Johnson, Triumph of the Lamb, (Phillipsburg: P&R, 2001), 170-1; he compares 11.7 and 13.7 to make the same point as the above named authors. 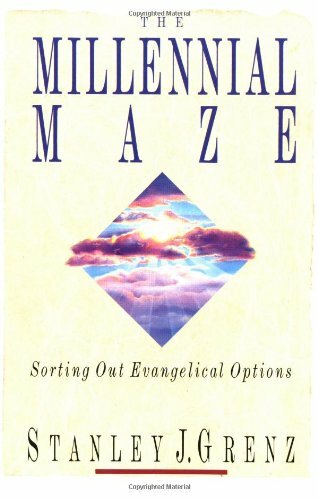 Though The Millenial Maze by Stanley Grenz isn’t my favorite resource on eschatology, it has some strong points. For example, Grenz gives the strengths and weaknesses of each millennial position – and he does so in a straightforward and fair way. Here’s part of his critique of dispensationalism which specifically has to do with the sharp distinction between the church and Israel (a central part of dispensationalism). Stanley Grenz, The Millenial Maze, 108-109.